CHINA Wukan, protest leader flees and seeks political asylum in the U.S.
Wukan, protest leader flees and seeks political asylum in the U.S.
After the arrest of Yang Semao and Hong Ruichao for "corruption", another member of the Guangdong village people’s committee who fought (and defeated) the government is forced to flee, “If I remained, the authorities would have settled scores with me". Analyst in Beijing: "It all takes place ahead of 31 March elections, which no longer makes sense". Beijing (AsiaNews/Agencies) - Zhuang Liehong, one of the 2011 protest leaders from the Wukan village (see photo), has fled from the rich southern province of Guangdong to the United States, where he has applied for asylum. His flight from China took place in January 2014 after another protest erupted in the area ahead of elections: "I knew I had to leave the village. If I remained, the authorities would have settled scores with me". The 2011 Wukan revolts broke out because the head of the village had sold land without the villagers' knowledge. The resistance shown by the population was reported all over global media, so that the Party was forced to remove the village headman and committee and launch new democratic elections. Six protest leaders were elected to the committee of seven people. Those elected included Lin Zuluan, who became village chief, and Yang, his deputy. The Wukan victory has led other villages to do the same thing, so that for several months there was talk of the "Wukan model". But in these three years - thanks to Party resistance - the local committee was unable to regain money from the sale, nor the land. 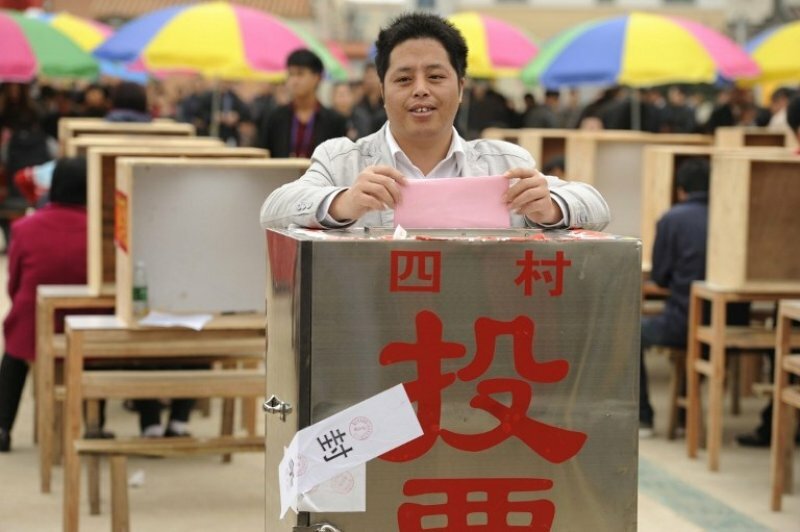 Now new elections are scheduled for March 31, but the authorities have opened a corruption investigation against Yang Semao and Hong Ruichao, both in the village Committee and candidates supported by the people. According to Xiong Wei, who heads a research institute on legal and rural issues in Beijing, the arrests are instrumental : "Both have a lot of popular support, and if they did not participate in the election of the population will lose . Nobody else has influence in Wukan".